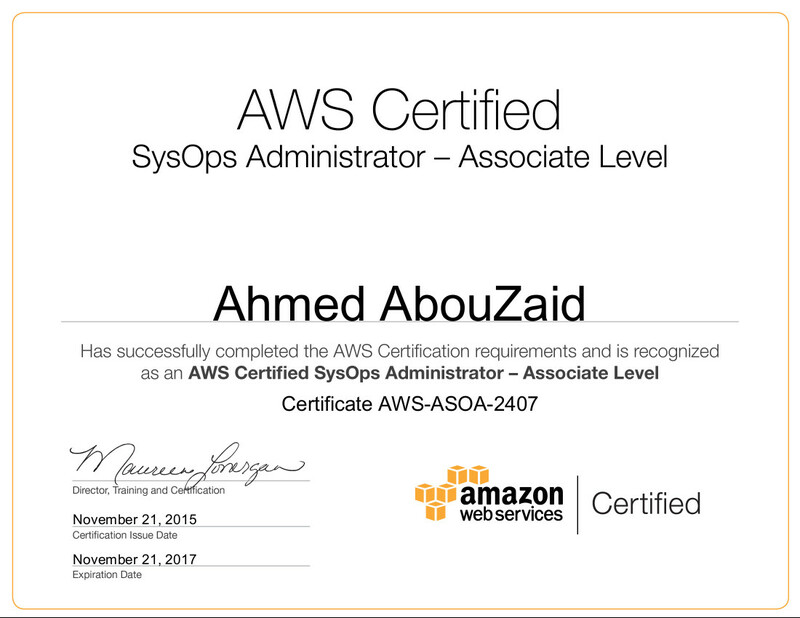 I just got my AWS SysOps Administrator certification. ~ Ahmed AbouZaid! 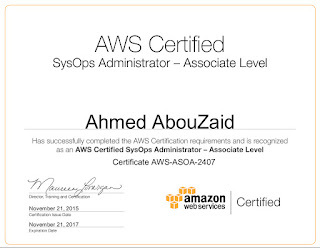 Although I still have concerns about most Cloud providers in regard to "Vendor lock-in", but no doubt Amazon with AWS did a great job, and pushed the whole market forward since 2006, especially regarding high availability and fault tolerance. As the biggest public cloud in the world, there is no need to talk about how AWS is doing, but IMHO, best part about AWS it doesn't reinvent the wheel! It has not only used technologies already exist, but even in exams!